Fantastic Sandra Boynton book that is enlivened by silly interactions, music, and a great narrator. 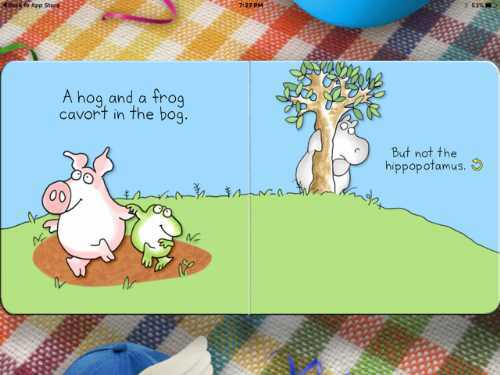 The book app But Not the Hippopotamus, based on a real board book by Sandra Boynton, tells the story of a shy hippo who is not joining in on the other animals' wild antics. Slowly, over the course of many pages, the hippo finds her courage. 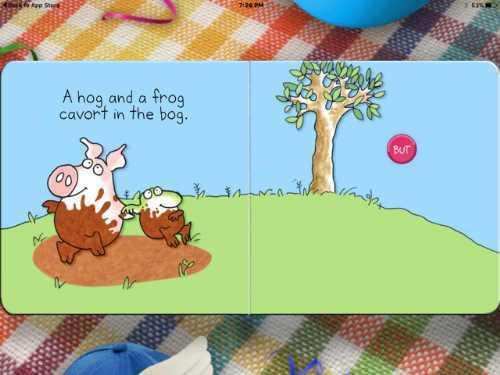 The book app uses the delightful literary device of suspenseful repetition: it shows other animals doing silly things like “cavorting in the bog" and then ends each page with the word “But” shown within a pink circle. When kids tap the pink circle, the hippo appears but doesn’t join the fun until finally, at the end, she is persuaded by her friends to try. In each of the scenes, kids tap the animals to make them do things, such as splash in the mud, try on silly hats, drink juice in a cafe, or release balloons brought back from a fair. 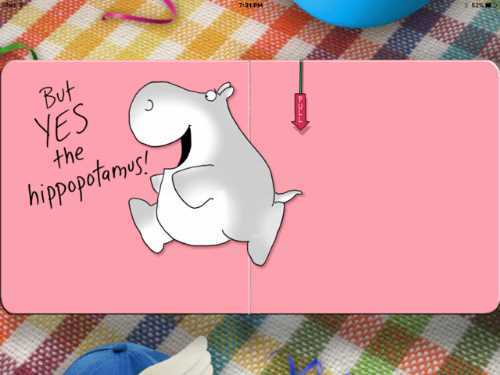 When the animal pack finally convinces the hippo to join in the fun, readers pull down a chain to release confetti. But Not the Hippopotamus is charming, hilarious, and contagious. Reading it is guaranteed to make your little one laugh. It will also teach your child empathy, as they observe the unhappy hippo trying to fit in with the other exuberant animals. With words that highlight when read, and repeat if touched again, this story helps young children make the connection between the printed words on the page and the words they hear read. 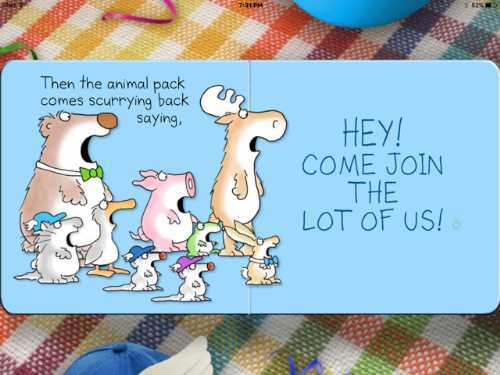 Sandra Boynton is known for her charming illustrations filled with humor. The illustrations are the same as those found in her board book, but in the app they do something when touched. The hog and the frog cavorting on the bog will squeak and kick up mud when touched. When you tap on the cat and two rats trying on hats, their silly head gear changes with each touch. My favorite interaction is with the bear and the hare returning from the fair, because touching the bear's ice cream cone adds another scoop. If you tap 18 times, the scoops go all the way up to the top of the screen! Sometimes kids just need something silly to change their mood. But Not the Hippopotamus – Boynton is the perfect antidote to withdrawal or uncooperativeness, or just tiredness at the end of the day. It is also a great app to start a conversation about empathy and feelings. Ask your child about how the hippo is feeling in each scene. 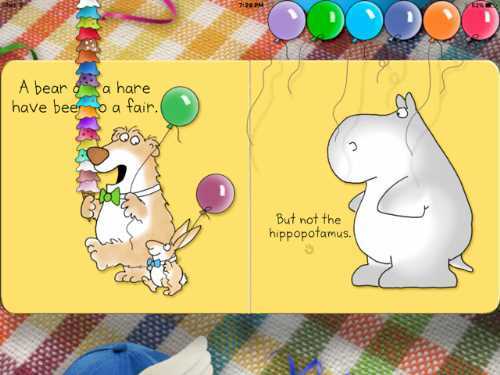 All five of Sandra Boynton's book apps anchor our rec list called Apps to Make Kids Laugh. 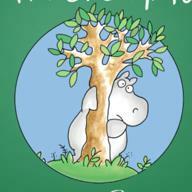 This kids' app review of But Not the Hippopotamus – Boynton was written by Jinny Gudmundsen. Company: Loud Crow Interactive Inc.